These apartments are completing in 2018 and having sold out of the first phase they are definitely worth the wait! Ground with large terrace from 142,500 Euros plays taxes and from 159,900.00 plus taxes for the top floor with a massive roof top solarium! We highly recommend taking a look at these well built 2 & 3 bedroom apartments. They are ideally placed in the great little town of Lo Pagan neighboring very closely with San Pedro de Pinatar offering everything you can wish for all in close proximity. This particular area is becoming very popular for a holiday home or permanent living with all nationalities mixing together forming a great community spirit. We have sold many properties in this area and our clients have given very positive feedback. 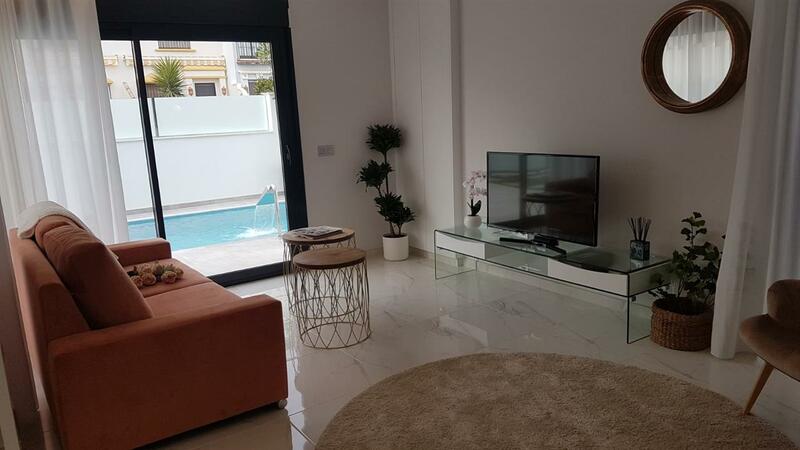 With Alicante International airport (40 mins) and San Javier Murcia airport less than 15 mins away this is an easy place to have a home only 2.5 hours away from the UK. If you haven't visited this area before then it should be on your list of places to come and stay. Property is sensibly priced but won't be for long! Come and enjoy looking around the area and find your perfect home we have plenty to choose from!